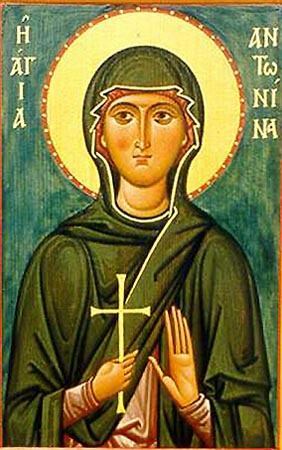 The Holy Martyress Antonina suffered during the III Century under Diocletian (284-305) in the city of Nicea. They tortured her which way – they burnt at her with fire, they put her on a red-hot plate, they bored with red-hot rods into her hands and feet and they threw her in prison, where she languished for two days. The torments did not break the spirit of Saint Antonina, and to her very death she confessed her faith in Christ. The threw the holy martyress into the sea.